How to fix shipping rates on the frontend checkout page for a non-USA default customer country? The issue is displayed on the screenshot below. 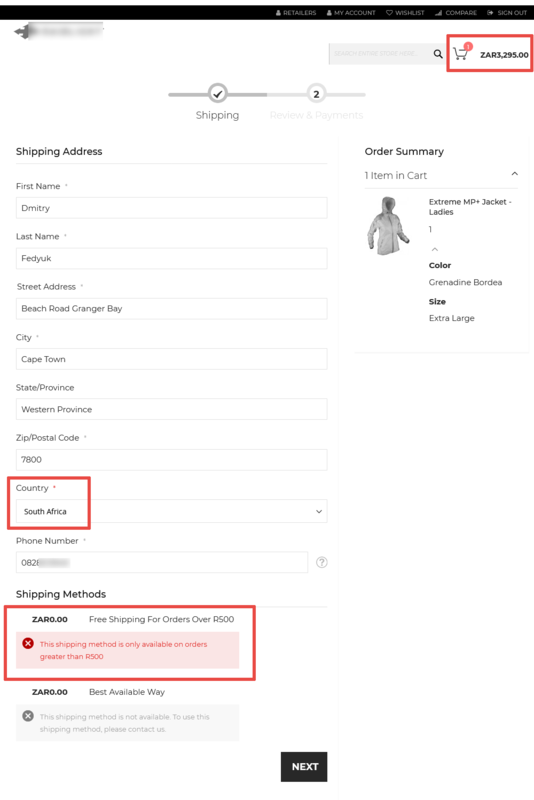 As you can see, the cart’s total is ZAR3,295, but the «Shipping Methods» secton does not display rates and shows a wrong message: «This shipping method is only available on orders greater than R500». It is a Magento core bug.